Hill Now periodically publishes profiles of locals — from longtime residents to newcomers, from government officials to ordinary folks. Know someone we should feature? Email us at [email protected]. Five years after a fire incinerated half of their restaurant, the owners of The Argonaut on the H Street corridor still are serving the neighborhood that helped them recover. 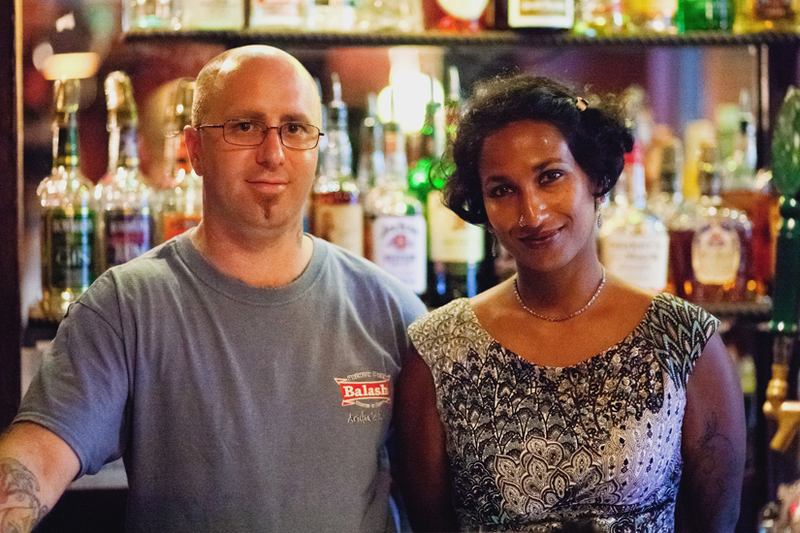 Since its founding in 2005, The Argonaut at 1433 H St. NE has developed a loyal following that was there for owners Scott Magnuson and Shaaren Pine when an electrical fire destroyed their kitchen and bar in 2010. After locals and fellow businesses donated money, kitchen supplies and their time, the husband and wife duo were able to reopen in 25 days. On any given evening, Magnuson and Pine will host families for dinner, college students for rounds of beer and retirees who reminisce under the ornate black tin ceiling in what has become a neighborhood staple in the Capitol Hill area. The Argonaut was part of the initial wave of restaurants to open up on the H Street corridor. Magnuson said when the bar first opened they were serving cheap drinks to a crowd of regulars. In 2007, the arrival of their daughter made them consider accommodating fellow parents, and now children eat free at their restaurant. “It used to be pretty dive-y and, I mean, it’s still pretty dive-y, but we’ve tried to make it a lot more family-friendly,” Pine said. The Argonaut’s staff also accommodate the students of nearby Gallaudet University, which focuses on the education of deaf and hard of hearing students. The couple also is active outside of The Argonaut. They donate food to community groups, sponsor little league teams and run the nonprofit organization Restaurant Recovery. The organization helps service industry workers who are addicted to drugs or alcohol. The Argonaut owners this year released a memoir, “Torn Together: One Family’s Journey Through Addiction, Treatment & the Restaurant Industry,” which explores their struggle to fight Magnuson’s addiction to drugs and alcohol. “We want to support the families of addicts and alcoholics and shine a light onto restaurant culture,” Pine said. Severe Thunderstorm Watch Issued for D.C.